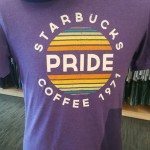 Every year, for many years now, there’s a Starbucks Pride t-shirt. This year’s is a beautiful purple shirt with a rainbow of colors in a purple circle. Shop in person at the Starbucks Coffee Gear Store: 2401 Utah Avenue South, 8th Flood, Seattle, Washington 98134. 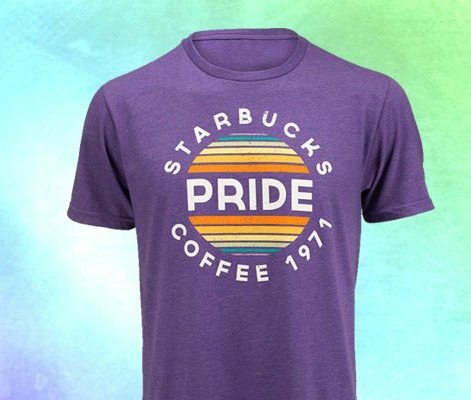 Or, if you are a Starbucks partner, shop the online Starbucks Coffee Gear store. (The online store is for Starbucks partners only). This year’s Pride parade in Seattle is Sunday, June 26, 2016. I heard from John, the gentleman who works at the actual Coffee Gear Store in Seattle, that the t-shirts are selling fast! Order now or drop by soon to get your t-shirt! The sizing of the shirts is men’s sizing. A men’s small is going to be like a women’s medium. The cotton is a nice soft cotton! I bought two shirts. The small fits me perfectly (I’m a women’s medium normally). I have a medium shirt (which would probably fit like a women’s large), which I’m giving away – Just leave a comment on this blog post before April 28, 2016 at 6:00 AM PST. One entry per person. You must have an address in the United States. I’m almost finished with a separate article about Starbucks in the grocery store – tell me your favorite Starbucks item inside the grocery stores, not in the actual stores. You must be over age 18. If there are more than 150 entries, I’ll stop counting at 150. No entries above 150 will be entered to win. Please enter with a real email address. If you’re the winner, and if you make no contact within 2 weeks of me announcing the winner, you forfeit the prize. I’ll update this article with the name of the winner, likely to be announced over this upcoming weekend. Please be patient with me getting this out in the mail. When you enter, please you 2 names. I don’t care if you’re “Melody 206” or “Mary 90210” or “John L” but it gets confusing when there are 3 people with the same name that enter. I hope all of this makes sense! 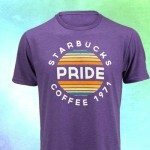 Check out other fun Starbucks merchandise that’s been offered at the Coffee Gear Store by clicking here: Pens, pencils, t-shirts, key chains, mouse pads and more! Be sure to visit other great StarbucksMelody productions: Coffee lovers, DiscoverStarbucksReserve.com is for you! Edit on April 30, 2016. We have a winner! Star treatment: Frappuccino Happy Hour beginning April 28th. Starbucks emojis are here! The Starbucks Keyboard App for Android or iPhone. March 15 – 20th only: Get this “secret” Cherry Blossom Frappuccino at Starbucks. Say Hello to the Patty Pan Latte at Starbucks. Passion at Work: Employees Who Create Magic. Always been a fan of the refresher VIA and the blueberry acai refreshers. My absolute favorite product within the grocery store isles (which sadly is not currently offered anymore) is the Single Origin Estates coffee packages in the tin cans. The Cost Rica La Candelilla Estate coffee was just such a smooth enjoyable medium roast. The packaging alone was just so different with a tasting card/notes in the can. 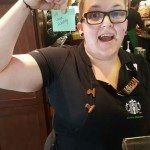 The blog did highlight these offerings in November 2014 – I am hopeful that Starbucks brings back these offerings in the future. My favorite grocery store Starbucks item is the Starbucks hazelnut double shot! Smores frapp in a bottle are my favorite. I love Starbucks Doubleshot. It definitely got me through college! Love to win this shirt. I don’t have any Starbucks shirts, so this would be a great first. Edit by Melody : This entry didn’t follow the instructions. 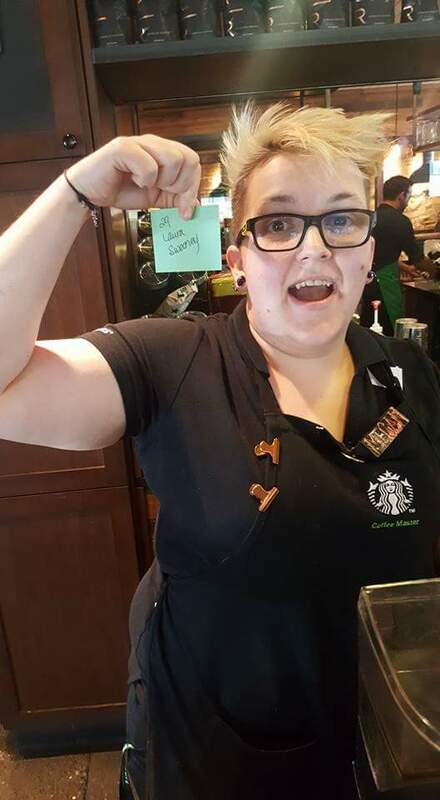 Loving those Doubleshots for my long closing shifts! Favorite grocery is whole bean Pike roast, as it is quite nice to get a bag with my weekly shopping. I’m quite partial to my americanos in store, but I’m in love with the canned double shots, or if I’m looking for something on the fruiter side the pomegranate refresher is to die for! Easy one for me to answer. I always get 1 or 2 of the vanilla VIAs. I’ve hooked a good friend on Starbucks as well and she loves to get the white chocolate mochas VIAs, when she can find them. We’re in an area where some flavors are scarce. My name is Martha and I love the starbucks grocery store iced coffee! In stores, however, I have loved iced americanos since I was a barista! Favorite grocery item from Starbucks is the bottled S’mores frappuccinos! The Starbucks Doubleshot espresso 4-pack cans are a great pick-me-up for when I work annually each May in a place that doesn’t allow coffee to be brought inside. Since I cannot finish my usual hot coffee in time in the car on the way there, I just stock up on these lil’ cans instead, and they go down in a minute! This topic came at just the right time, because you just reminded me that it is that time of year — almost May, so I gotta go grab my Doubleshot 4-packs!! 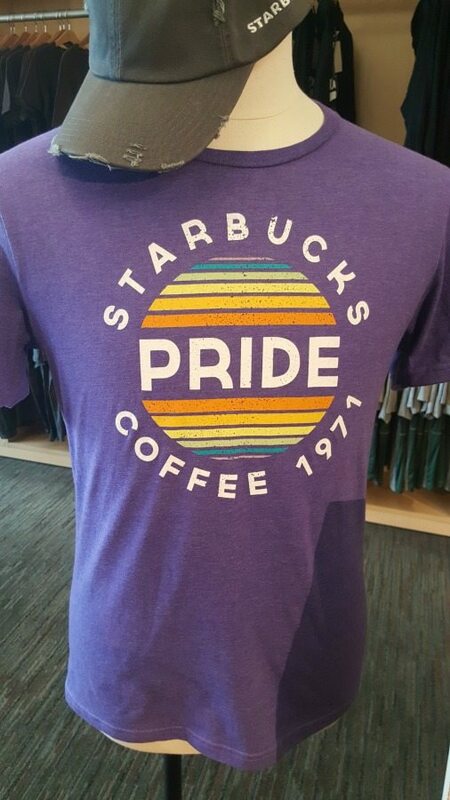 I’ve never heard of the Starbucks Pride shirt. What is it all about. Is it like “pride” gay pride celebration or remembrance.? It is a nice looking shirt. I love rainbows. 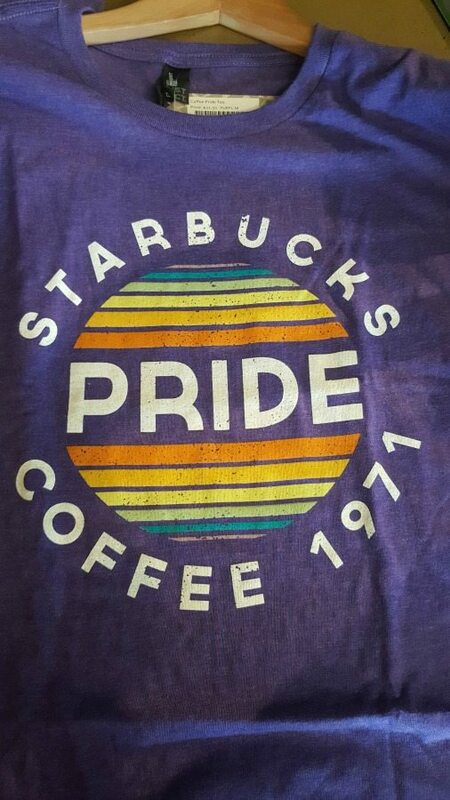 If anyone can explain what the Pride shirt is about, that would be great. I love the Starbucks hot cocoa at the grocery store. Living in an area with not too many Starbucks, the moment I’m in the grocery store, of course I want something for my shopping…I don’t have to look far… My fave is bottled frappuccino or DOUBLE SHOT!!! This is awesome! I have always been a fan of the bottled frappuccinos. I know stores have them, but I only ever bought them in grocery stores. It would be what kept me going during my 6 hour drives between college and home! My favorite grocery store item is bottled vanilla frappuccino or the seasonal coconut mocha one. So yummy. Italian Roast via decaf! I know, decaf doesn’t sound like real coffee, but we drink it on Friday nights w Baileys Irish Cream. My fav is the canned double shot! I am trying to look for the unsweetened bottled Iced coffee but have yet to be able to find it. Pomegranate refresher is my absolute favorite. 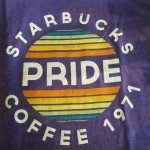 I have the black single rainbow cup shirt! But shipping on coffee gear is just to expensive 🙁 . My favorite grocery store item made but Starbucks would be the Starbucks double shot original with a close second bringing the blueberry acai refresher! I’m in Utah and would LOVE to rep this beautiful shirt around daily AND at the pride parade in June. Please let me rep this while at my very large, Mormom, family reunion. That’s it! Not very many entries! I actually prefer smaller contests. I guess this is one advantage of few people making any blog comments anymore. Of course, I’ll throw a gift card into the winner’s box too! 🙂 I’ll announce the winner at some point tomorrow the 30th.